On a chilly morning in December 1988, computer analyst Jack Barsky embarked on his usual morning commute to his office on Madison Avenue in Manhattan, leaving his wife and baby daughter at home in Queens. As he entered the subway, he caught sight of something startling: a daub of red paint on a metal beam. Barsky had looked for it every morning for years; it meant he had a life-changing decision to make, and fast. 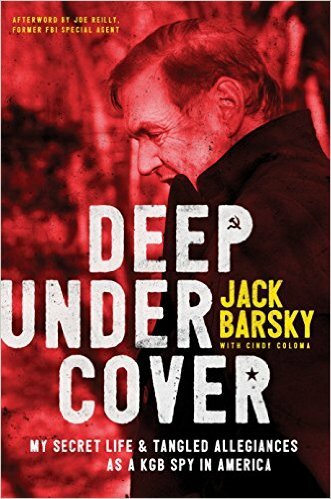 Barsky knew the drill. The red paint was a warning that he was in immediate danger, that he should hurry to collect cash and emergency documents from a prearranged drop site. From there, he would cross the border into Canada and contact the Soviet consulate in Toronto. Arrangements would be made for him to leave the country. He would cease to be Jack Barsky. The American identity he had inhabited for a decade would evaporate and he would return to his former life: that of Albrecht Dittrich, a chemist and KGB agent, with a wife and seven-year-old son waiting patiently for him in East Germany. Barsky thought of his American daughter, Chelsea: could he really leave her? And, if he didn’t, how long could he evade both the KGB and US counterintelligence?